Old Testament - Big day today! Ten Commandments day! This kind of snuck up on me, but it was a great surprise. Today in Exodus chapter 19 Mount Sinai plays quite a prominent role in the narrative. Below is an image of Mt. 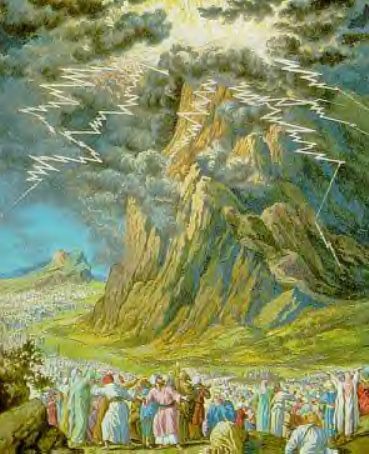 Sinai that I think correlates well with verse 18: "All Mount Sinai was covered with smoke because the LORD had descended on it in the form of fire. The smoke billowed into the sky like smoke from a furnace, and the whole mountain shook with a violent earthquake." New Testament - Today in Matthew 23 we read Jesus' "Woe to you!" warnings and teachings. Verses 25 & 26 stood out to me today: ""How terrible it will be for you teachers of religious law and you Pharisees. Hypocrites! You are so careful to clean the outside of the cup and the dish, but inside you are filthy--full of greed and self-indulgence! Blind Pharisees! First wash the inside of the cup, and then the outside will become clean, too." These verses reminded me a lot of the Sermon on the Mount, where Jesus very clearly goes to the heart of the matter with many of the Laws. These verses are such a strong reminder for us to guard our hearts - and what we let into our hearts - and the condition of our hearts. Because Jesus is much more concerned about the condition of our hearts than the condition of our skin. He wants to heal us from the inside out. How is the condition of your heart today? Will you allow Jesus to heal your heart? To heal you from the inside out? Where will you find true inner peace to heal you from the inside out? Psalms - Psalm 28 verse 2 stood out to me today - "Listen to my prayer for mercy as I cry out to you for help, as I lift my hands toward your holy sanctuary." 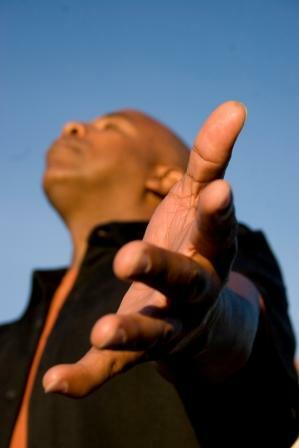 The thing that stood out to me is the image of the Psalmist "lifting his hands" in prayer. I'm curious about this - if you don't mind sharing in the Comments section below - do you periodically lift your hands in prayer? Do you kneel when you pray? Close your eyes? Bow your head? What do you do to really signify your worship and praise of God? Do you think lifting our hands or doing other body movements can change the way we pray to God - rather than doing nothing unique with our body? Let me know if you have Comments on this below... thanks... My quick thoughts are that we can absolutely pray at any time in any place without lifting our hands or closing our eyes or bowing, etc. I think this gets toward the idea of "praying unceasingly." However - I do think there is something special about the times in our day when we can really spend some quality quiet time with God in prayer. And the best way for me to personally do this is by really changing my body language first - by kneeling down, closing my eyes, bowing my head, maybe lifting my hands, etc. This somehow I think brings me closer to God - it doesn't bring God closer to me - he's always close. But, somehow, what I do with my body before & during prayer can definitely make a difference in how long I will actually pray to God and how deep into prayer & listening I will go. How about for you? 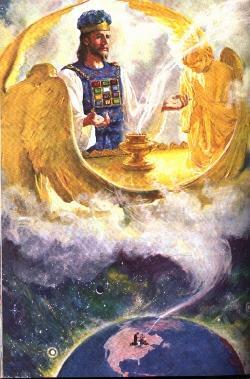 Proverbs - Proverbs chapter 7 verses 1 - 3 today are powerful: "Follow my advice, my son; always treasure my commands. Obey them and live! Guard my teachings as your most precious possession. Tie them on your fingers as a reminder. Write them deep within your heart." 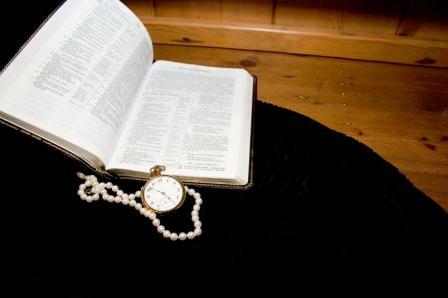 Do you guard God's teachings as your most precious possession? If not, what is your most precious possession? And then where do God's teachings rank in comparison to your other possessions? Worship God: Today's readings about the Ten Commandments reminded me of this fantastic video of an 11 year old preacher, preaching "Jesus Throughout the Bible:"
Do you know Jesus who is throughout the Bible? Click here and meet Him! Prayer Point: Pray that you won't ever neglect justice, mercy and faithfulness in your life. Pray for justice. Pray for mercy. Pray for faithfulness. God sets boundaries for us not because He is some kind of control freak, but because He loves us and planned the best for us in eternity. If we do not cross the boundaries the negative cause and effects of law breaking does not come into existence. 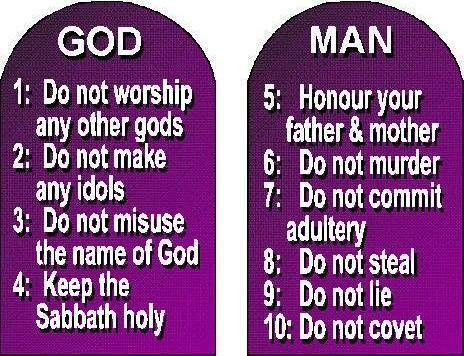 The Ten Commandments are boundaries for righteous living upon the earth and if crossed, there are consequences. Maybe we look at these boundaries wrongly. If we see them as just a list of ten things not to do, then they are just a burdensome list of do nots. However, if we see them as a safety net to keep us snug and warm provided by a Father who loves us dearly, then the burdensome nature of a bunch of dos and don’ts cease. If we fully understand that God’s desire is to meet every one of our needs, we will wait on Him and not try to get it ourselves. As for prayer postures, Mike, the postures you present all have to do with one thing, submission, the body language takes on the posture of submission. Raised hands indicate surrender to God. When someone points a gun to our heads and says, “Stick ‘um up,” we submit to the authority of the one holding the gun. Lying face down on the floor/ground or assuming the position of kneeling, means you are acknowledging the One who is Over All. Sadly, these postures can all be choreographed to give the appearance of submission and to impress the crowd, but either way, sincere or show, God knows the heart. 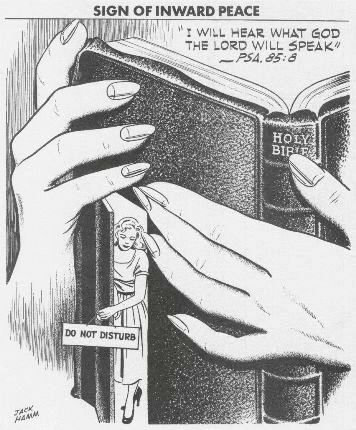 Interesting how the commonality of all four readings flows forth from the scriptures and that is submission. Whether in body language, prayer posture, wrongly choosing to submit to man’s laws over God’s, and submitting to words of wisdom, God’s Word, Old or New Testament is the same message presented from different perspectives. It is said that we all have different learning styles and God covers them all in His Word. Because He created us to have those different styles, God is not a one-size fits all kind of Guy, He meets everyone at their point of need and at their ability. Comments/Q.o.t.d: The Ten Commandments- I know God wrote them as a decree that the Jewish audience/Israelites should abide by at that time- To me, the Ten Commandments were written to point out our shortcomings and how bad we need a Savior- we can't do life alone!Be blessed!! 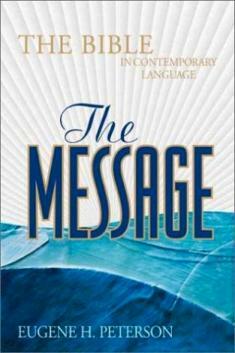 I am using The Message side by side with the NRV...I have loved the Message for years..Peterson was a most extraordinary man..I appreciated your observation about how he stays close to the text in the Hebrew Scripture and in the New Testament he takes more liberties..interesting!! Thank you for your insights and diligence to this ministry.